Two thousand years ago, Jesus walked across Galilee; everywhere he traveled he gained followers. His contemporaries are familiar historical figures: Julius Caesar, Caesar Augustus, Herod the Great, Pontius Pilate. It was an era of oppression, when every man, woman, and child answered to the brutal rule of Rome. In this world, Jesus lived, and in this volatile political and historical context, Jesus died-and changed the world forever. 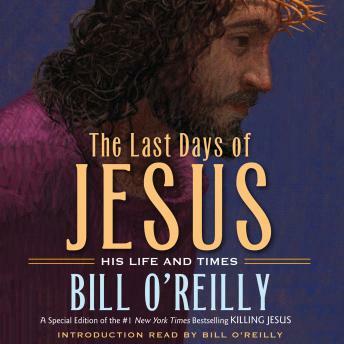 Adapted from Bill O'Reilly's bestselling historical thriller Killing Jesus, and richly illustrated, The Last Days of Jesus is a riveting, fact-based account of the life and times of Jesus.